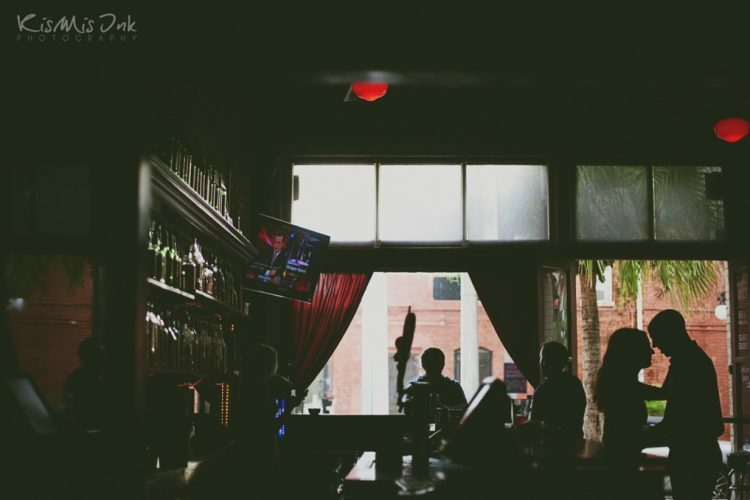 You may have noticed that our blog looks a bit different. 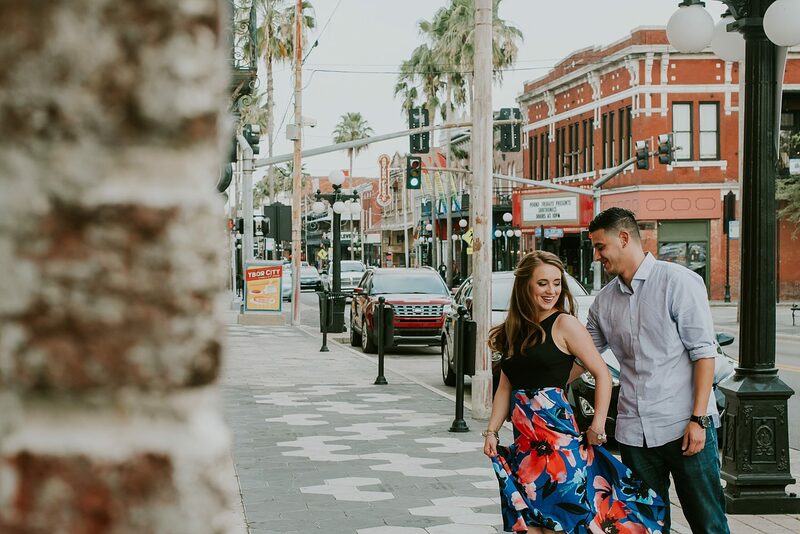 Over the past year, we’ve worked closely with the talented Flo Agency team to perfect the Kismis Ink online experience, updating our space with a fresh, inviting atmosphere that communicates our brand. 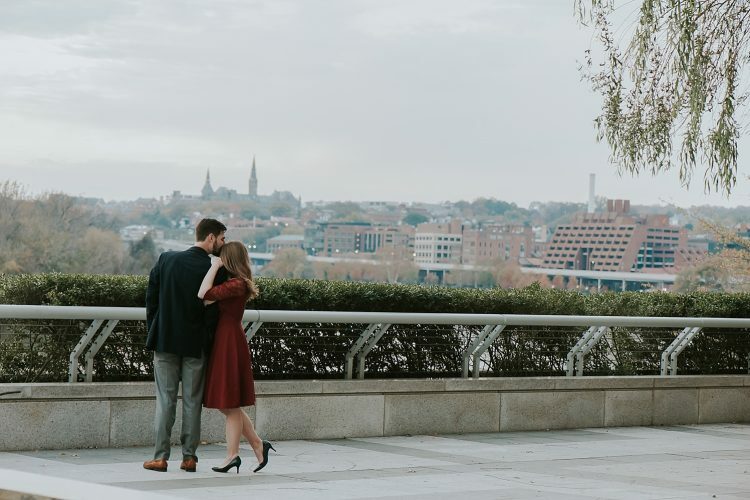 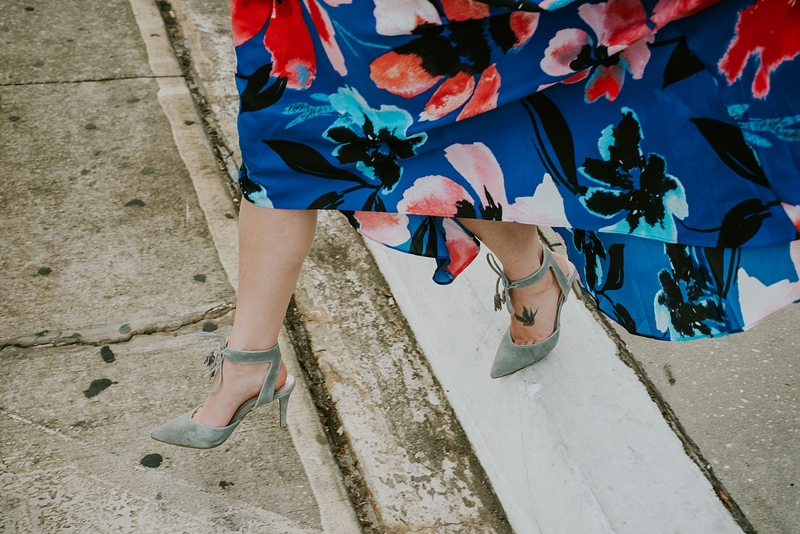 We are thrilled to reconnect, inspire and share so much more in the following weeks; including featuring a couple of jaw-dropping weddings and events we’ve been holding on to. 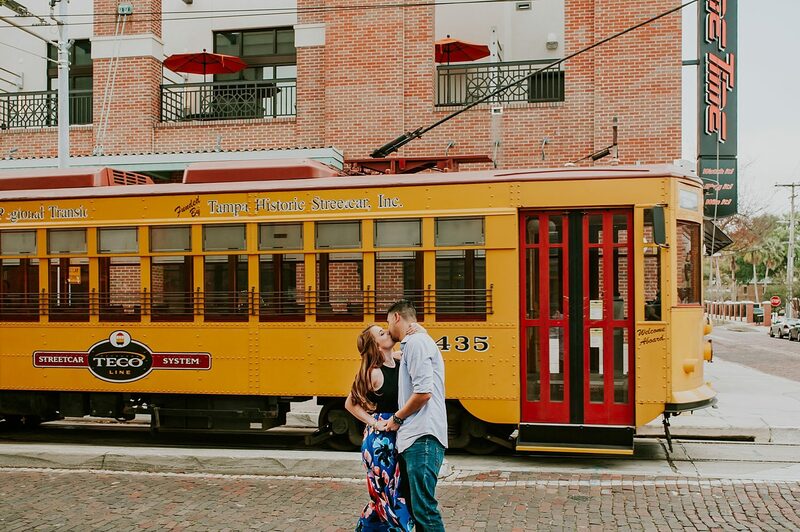 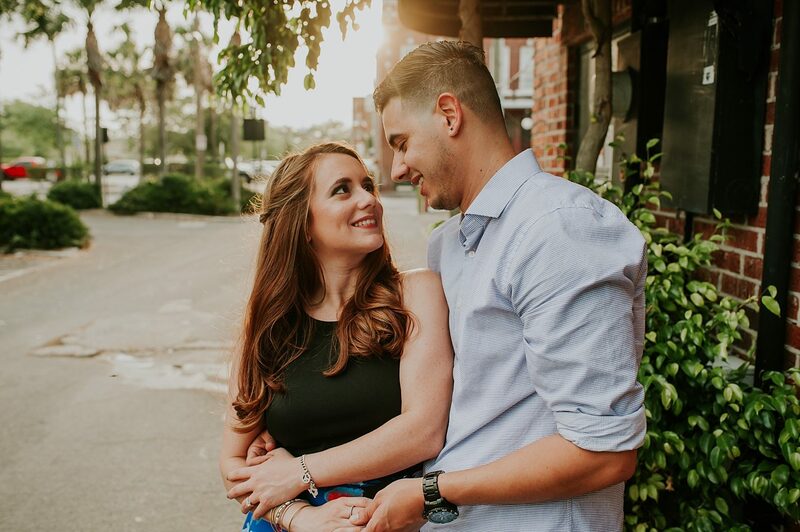 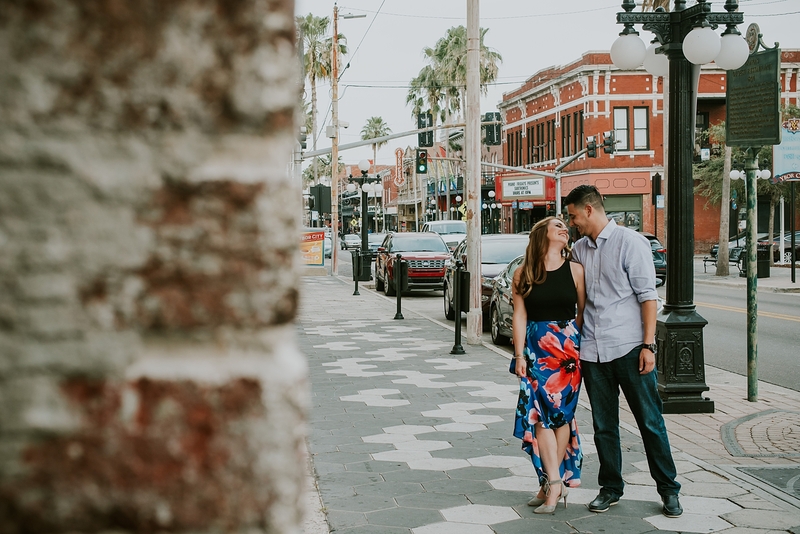 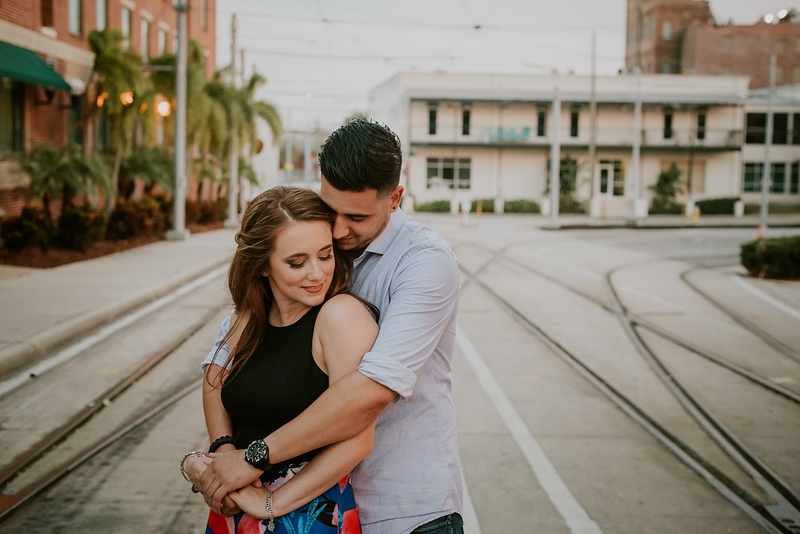 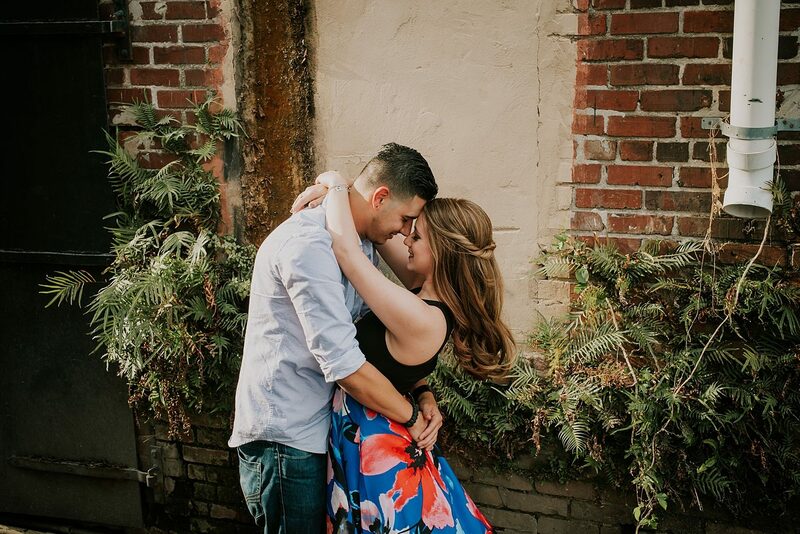 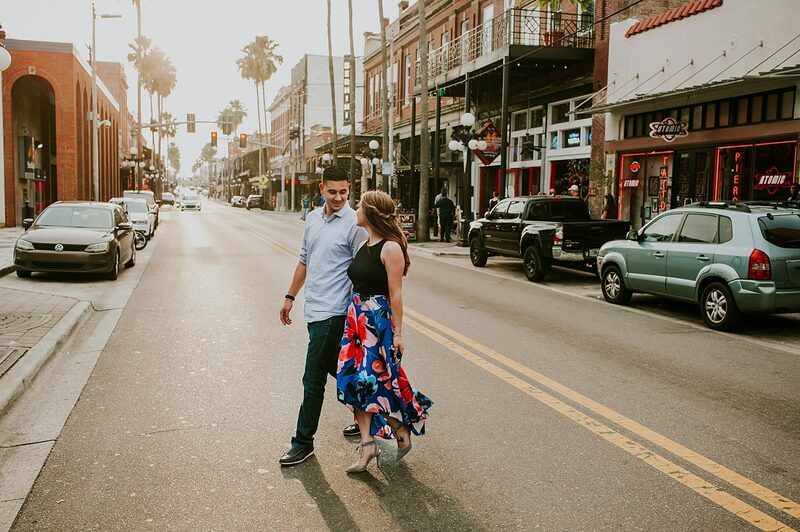 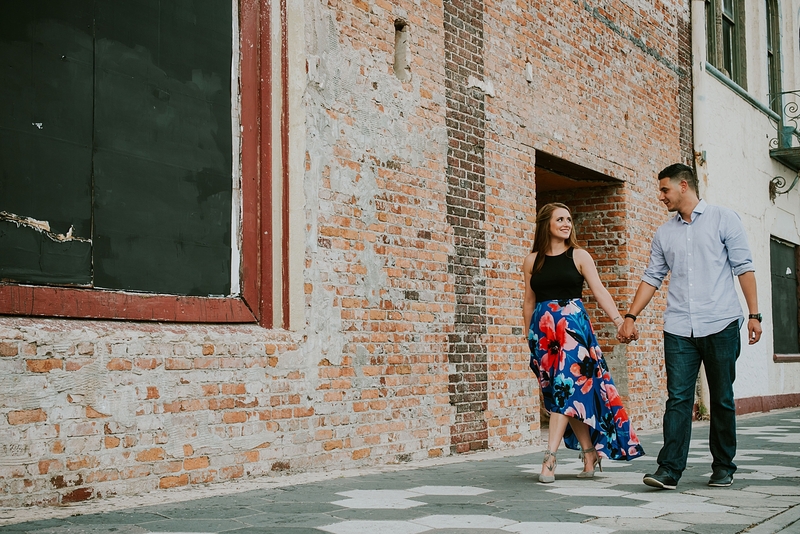 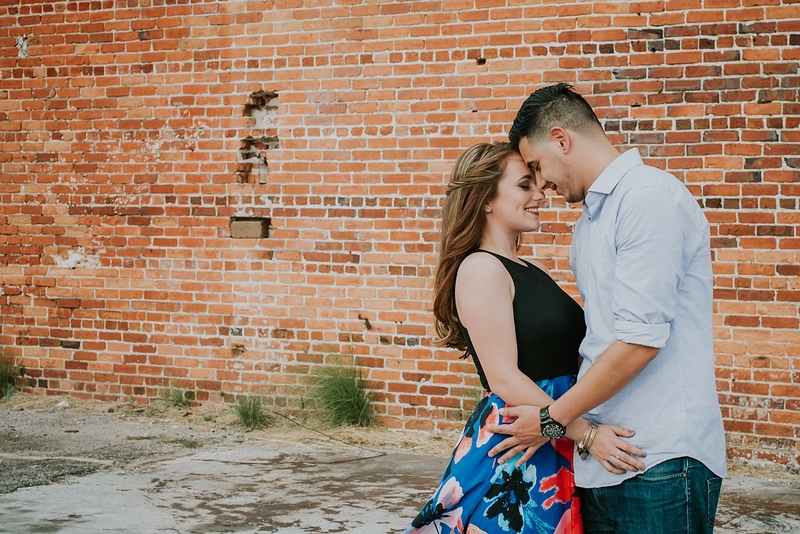 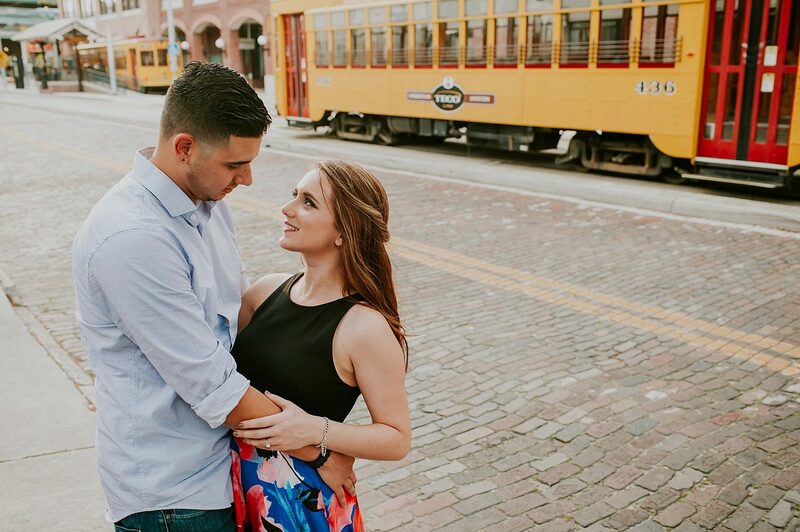 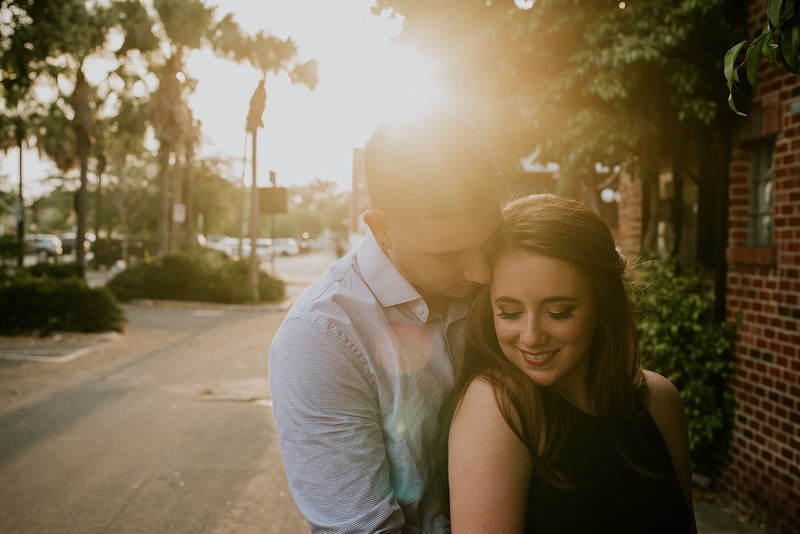 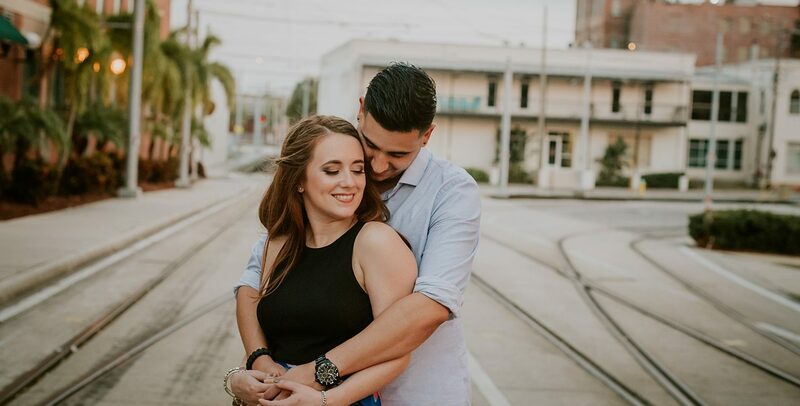 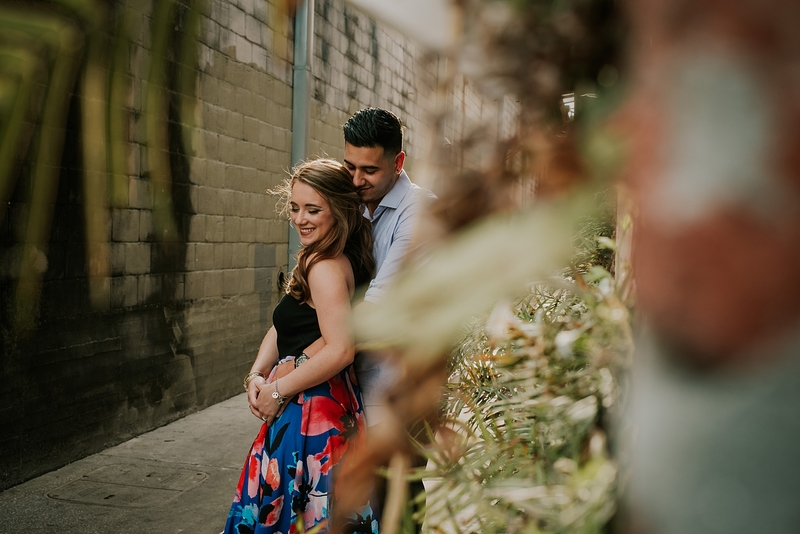 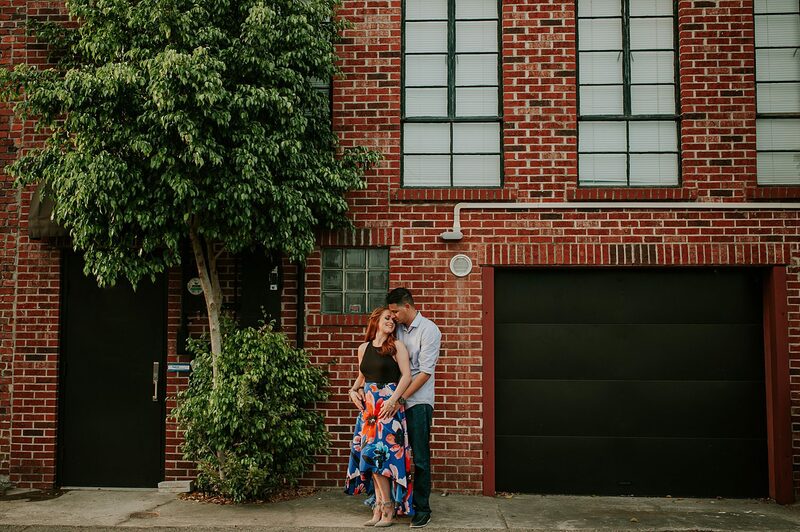 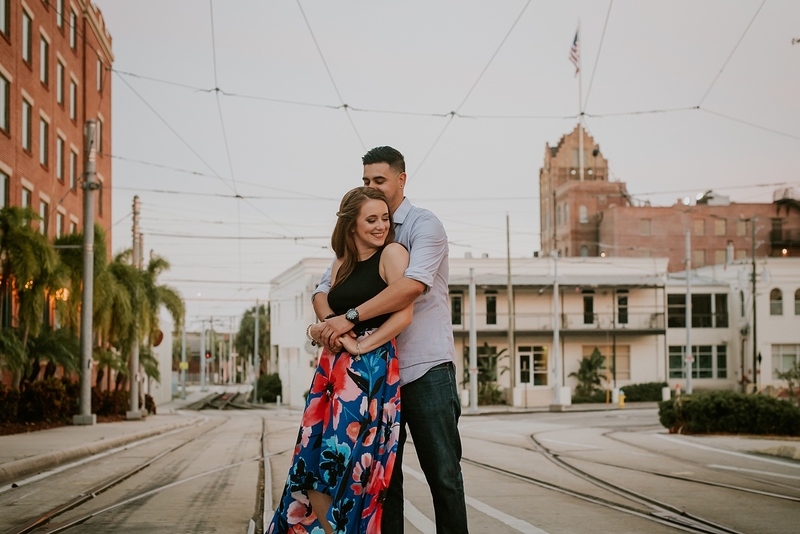 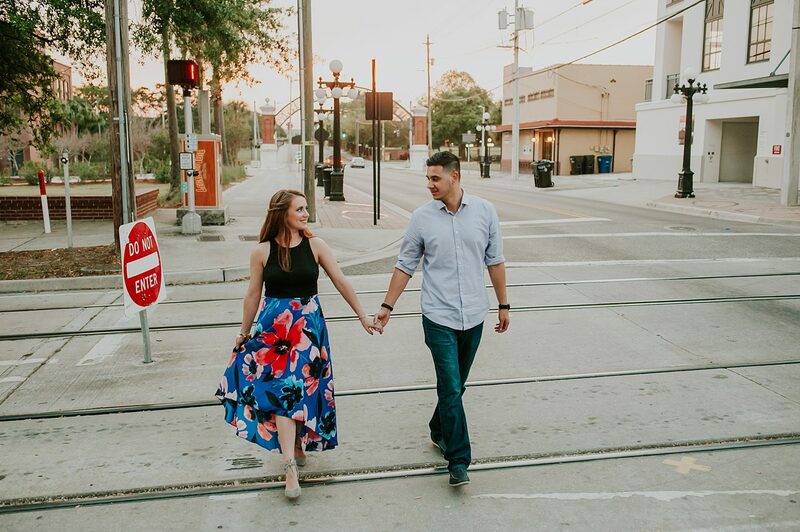 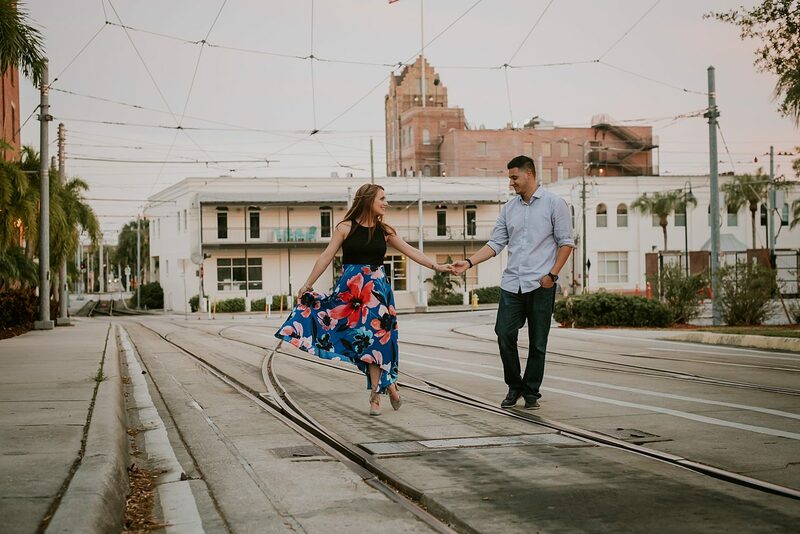 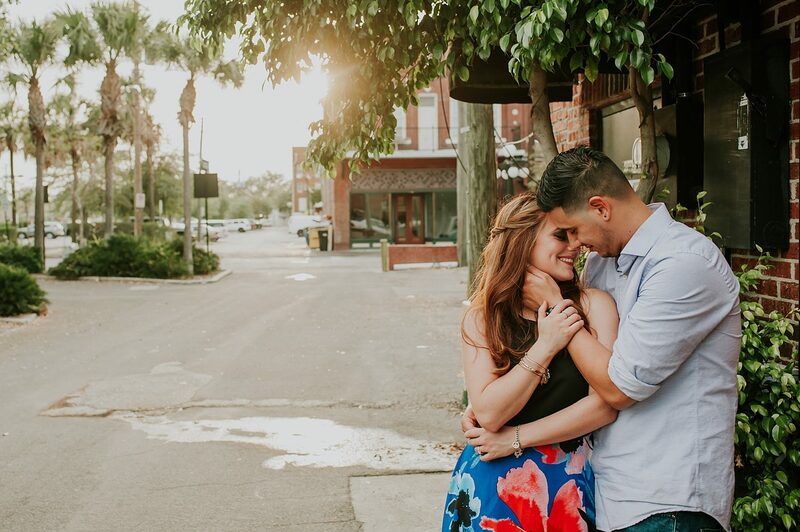 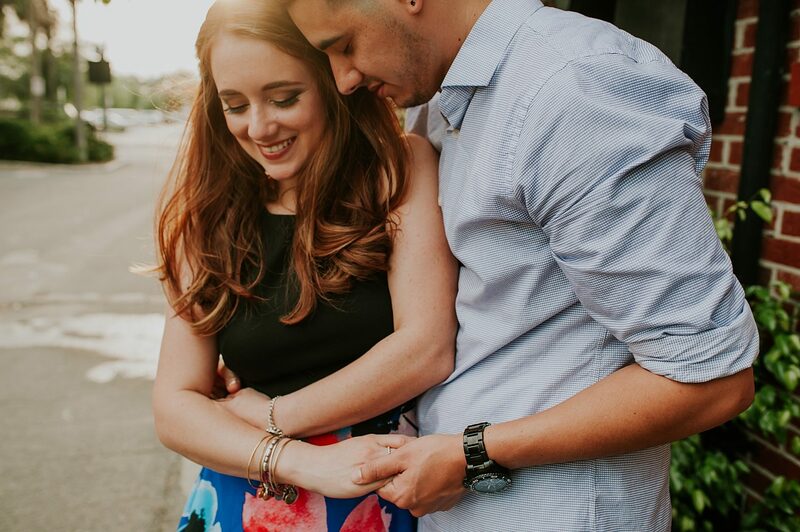 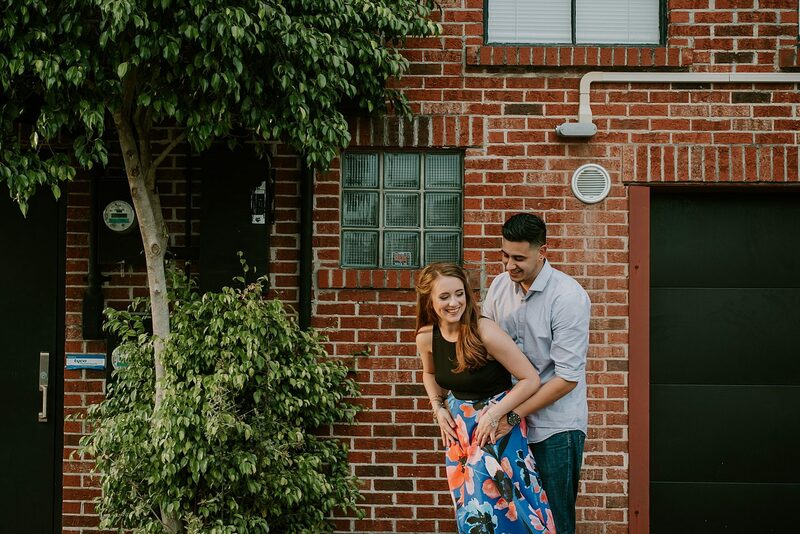 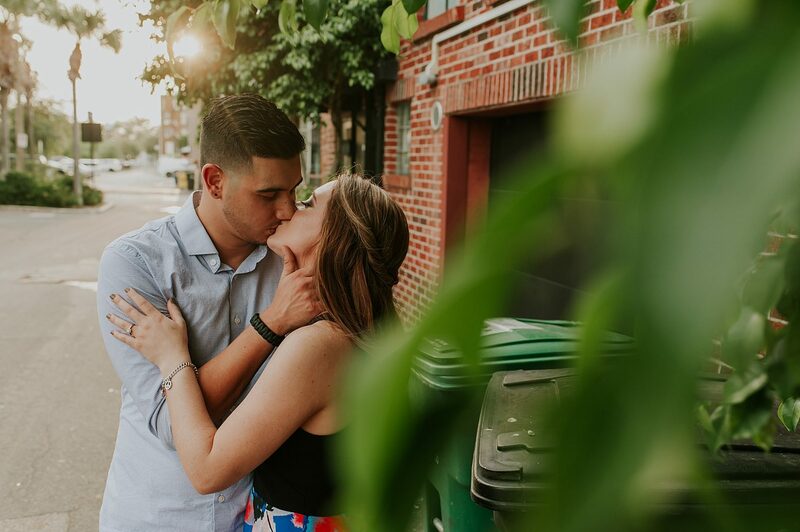 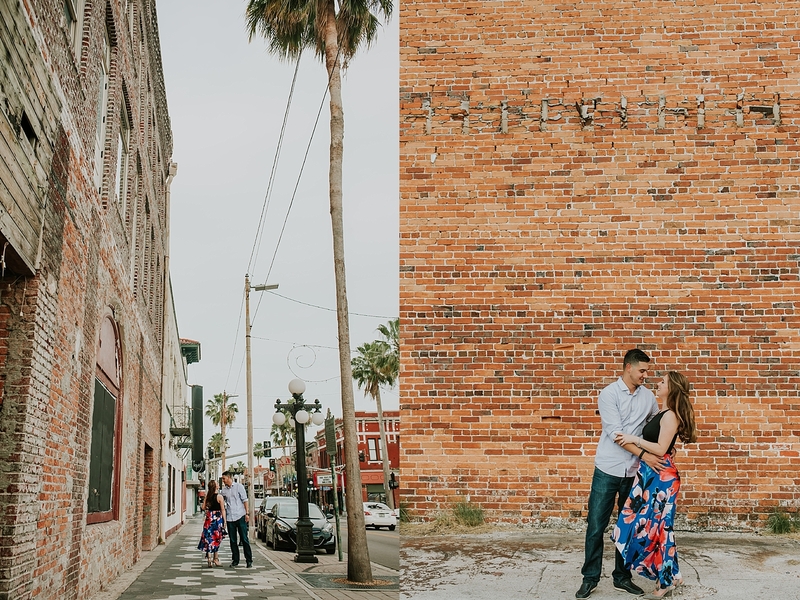 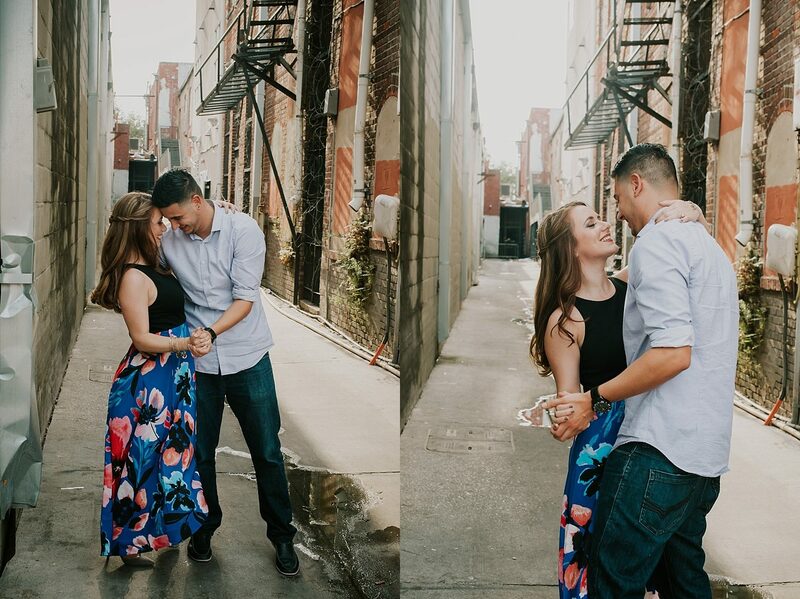 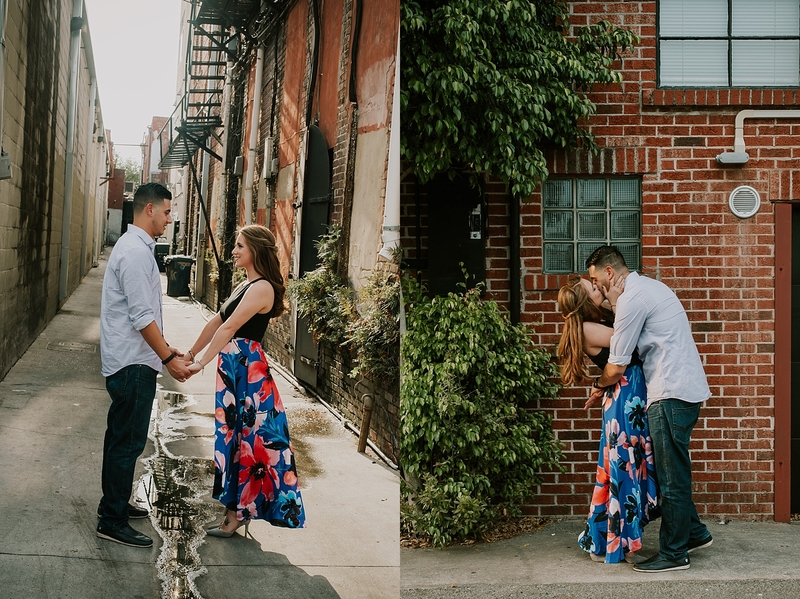 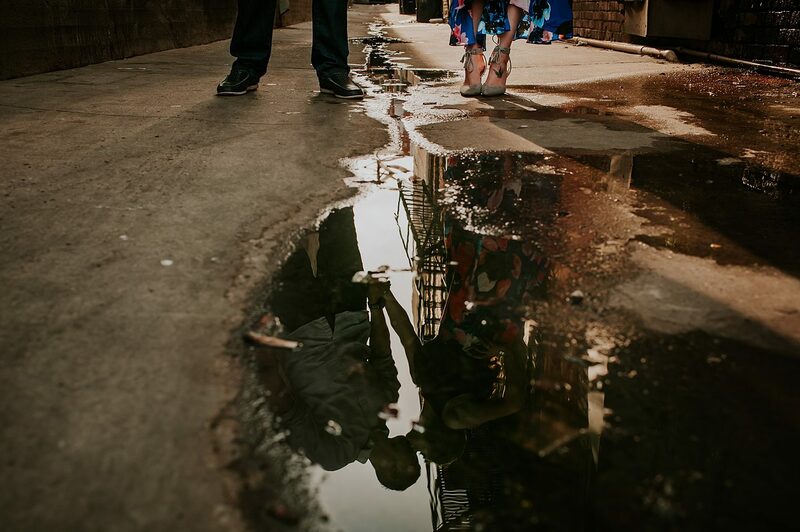 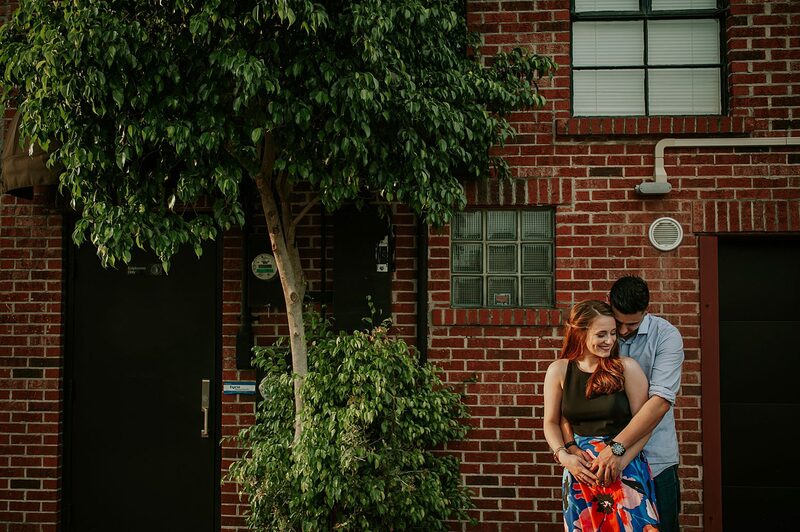 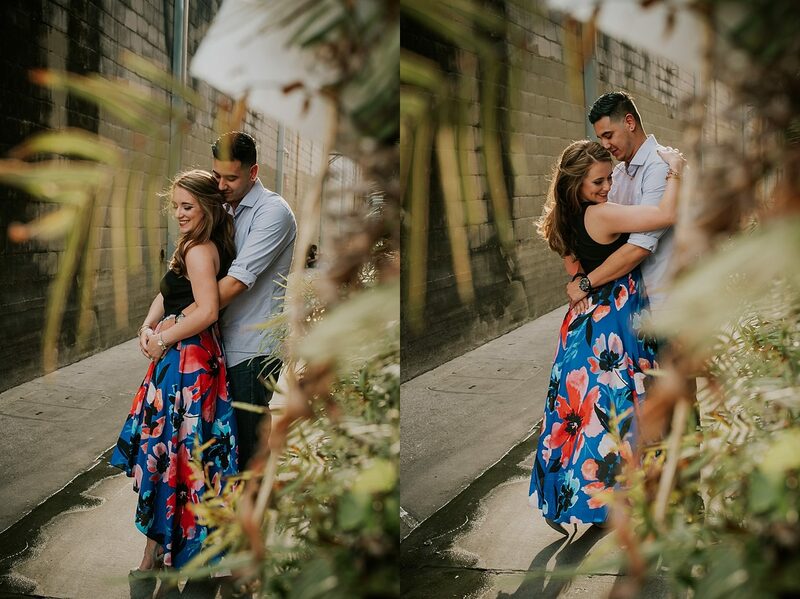 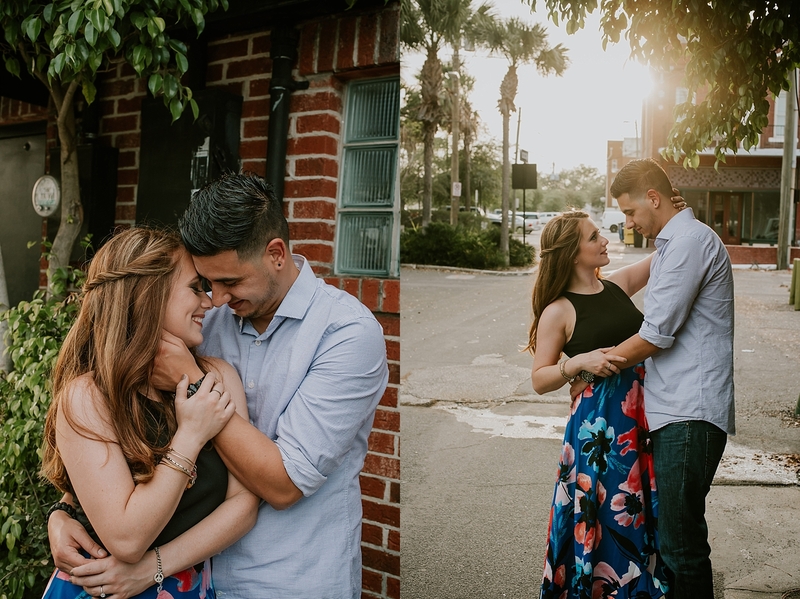 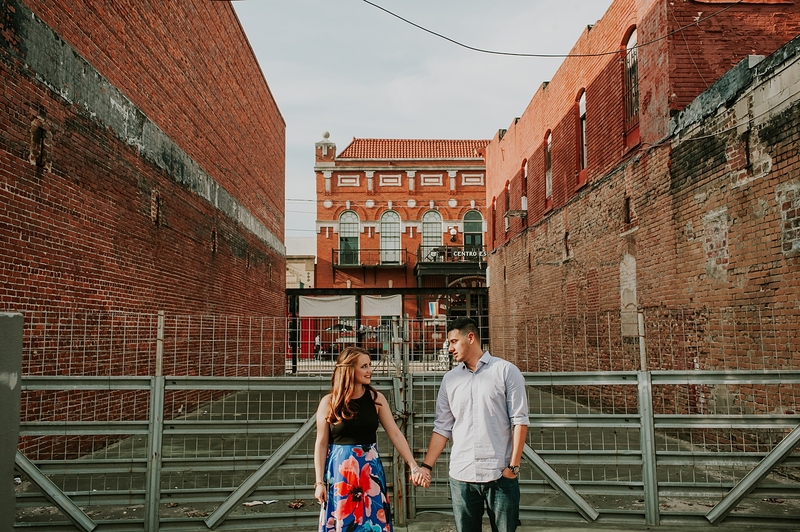 What better way to introduce our new look than with Rosie and Carlos’ captivating engagement session, dancing their way through the golden Ybor city sunset. 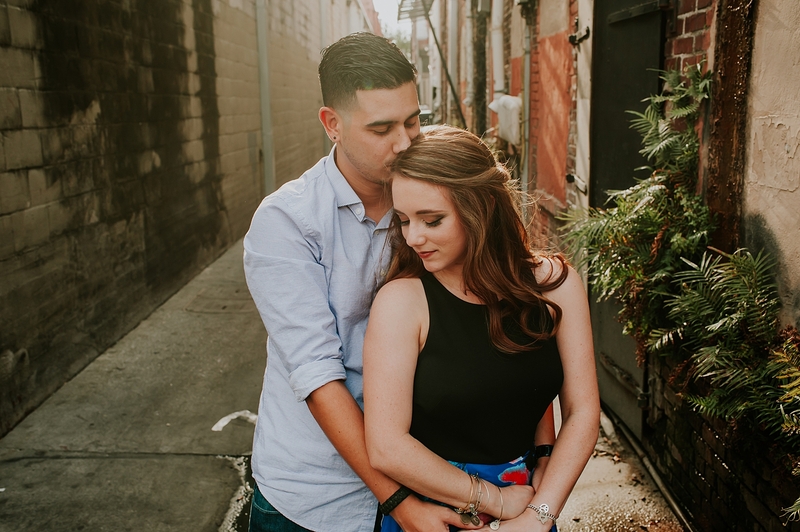 Besides being a gorgeous pair, Rosie and Carlos are self-proclaimed “movie buffs”, having complete conversations using only movie quotes. 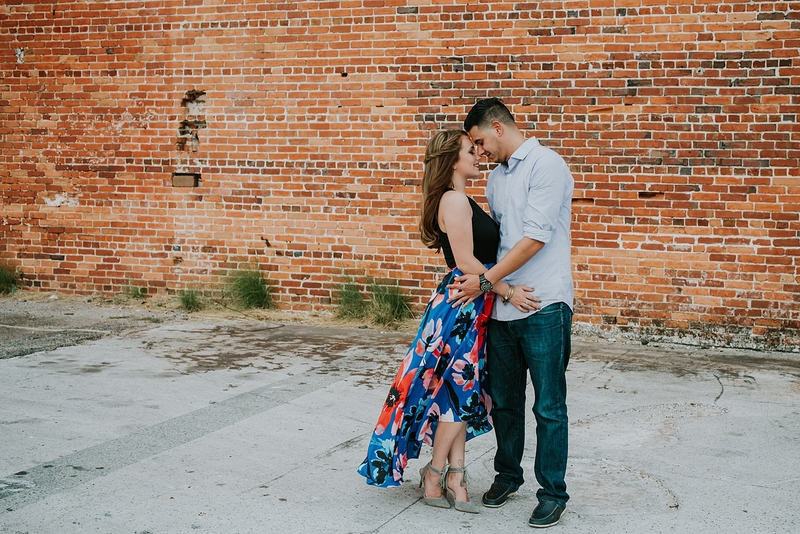 They can also bust a move anywhere they go, from salsa to merengue (with reggaeton playing in the background, of course.) 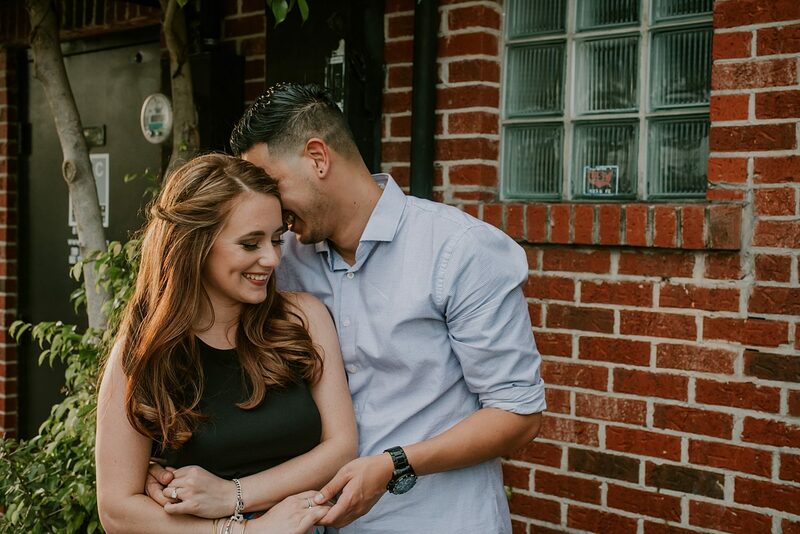 Both of them love to make each other laugh: Rosie is a talented impersonator, and Carlos is never afraid to belt out some Britney Spears. 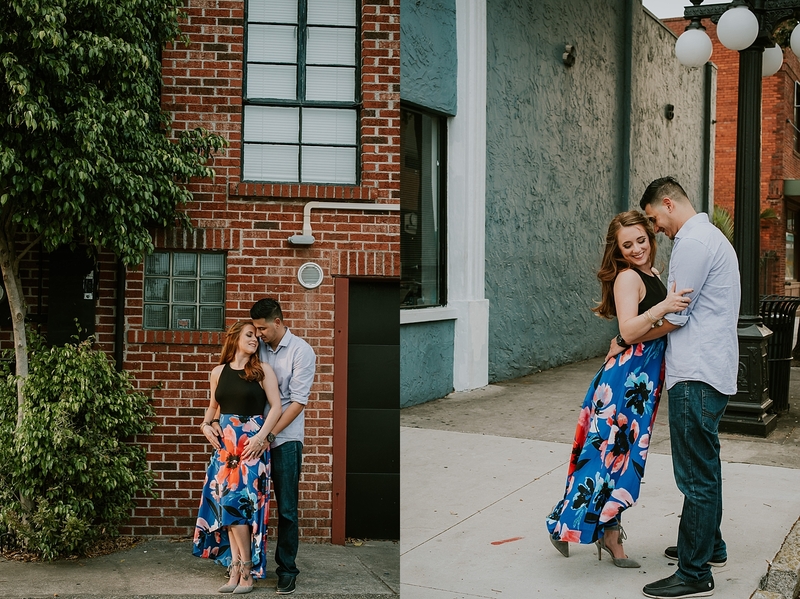 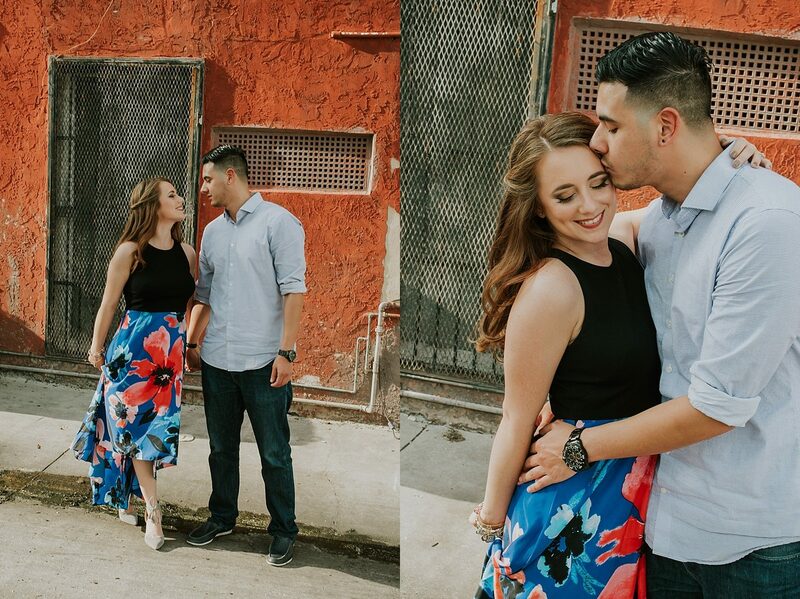 Rosie & Carlos are one of the most lively, kind-hearted couples I’ve had the pleasure to meet, and we had the time of our lives capturing their love.